We offer our client an excellent quality range of Backward Curve Centrifugal Blowers DIDW/SISW which are manufactured from high grade quality raw materials. 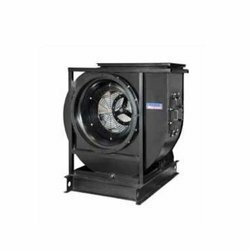 These Backward Centrifugal Fan can be customized as per our precious customers specifications . Range : Capacity upto 500 to 15000 CFM Pressure upto 300 mm Wg. To furnish the varying desires of our customers, we are immersed in offering a world class consignment of Backward Curved Blowers.